With over 1,200 courses, certificates and degrees, TAFE NSW can help your students be whatever they want to be. Students will graduate with the strong theoretical knowledge, practical skills and industry experience that TAFE NSW is known for. Guide student ambition towards a career they will love. get job ready with over 1,200 courses, certificates and degrees across 130 campuses as well as online. We're constantly developing industry and career insights to provide you with information that will help you guide your students' ambition. View our industry and career insights. Studying at TAFE NSW means being guided toward success. We're here at every stage of the learning journey with study support, personal and career counselling, accessibility services and help finding employment or accommodation. Students will be supported at TAFE NSW. 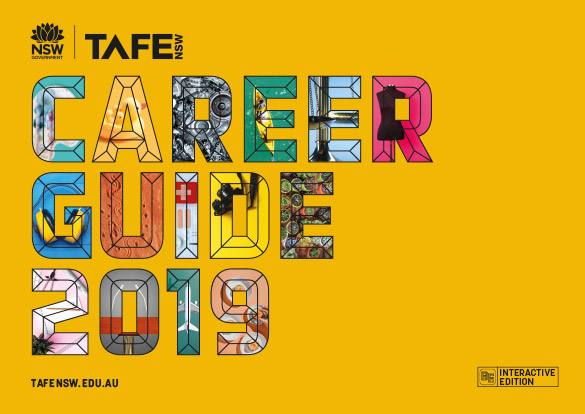 Our Career Advisor newsletters are packed with our latest information about TAFE NSW products and services for your students to help explore their career and study options. To subscribe to the Career Advisor newsletter or have us attend one of your events, please contact us at schools@tafensw.edu.au. 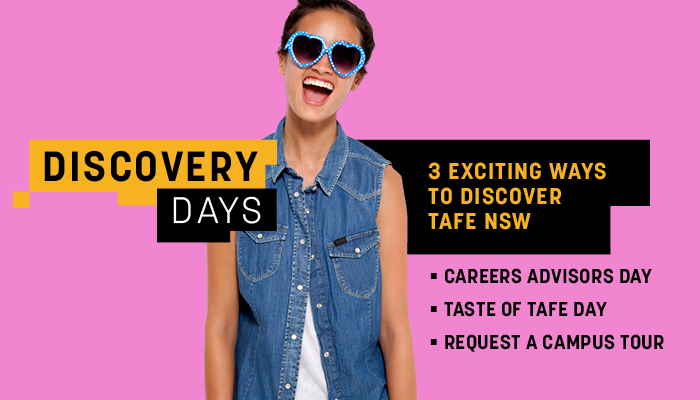 To have a TAFE NSW representative attend your school to share course and career pathway information, or to stay up to date with the latest TAFE NSW news and events, email us at: schools@tafensw.edu.au. "I wasn’t really into the whole university atmosphere where everyone seems to be competing. At TAFE, everyone kinda helps each other. It’s much more supportive."